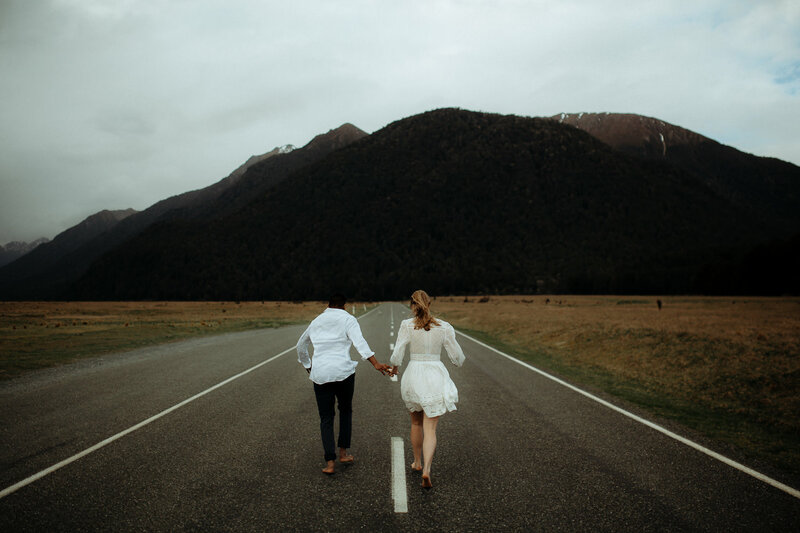 If you’re recently engaged and looking to plan a small and intimate wedding, you might’ve considered the option of an intimate elopement in New Zealand. 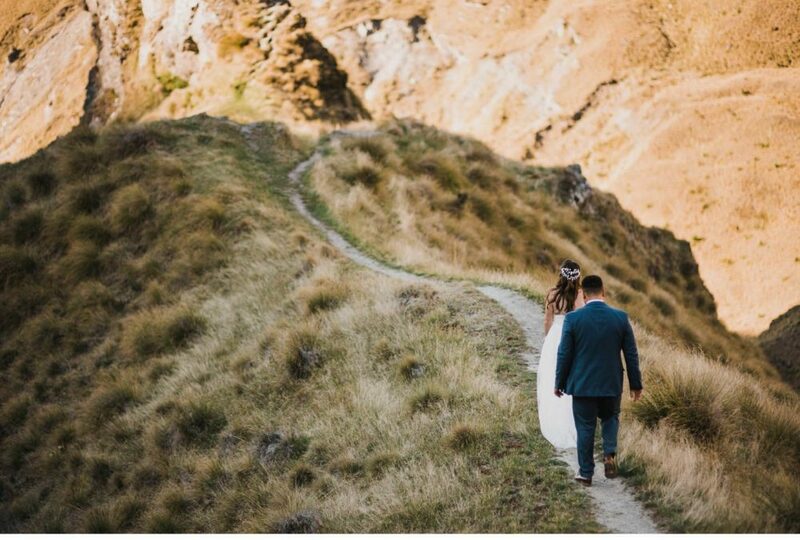 In recent years, spectacular images of elopements in New Zealand have sprung up all over Instagram and Pinterest, showcasing not only New Zealand’s dramatic landscape, but also its homegrown photography talent. No matter what time of year, New Zealand is known for its stunning scenery. From alps and rugged mountains through to rolling hills, raging rivers and fields of flowers, there are plenty of photo opportunities for doting couples. 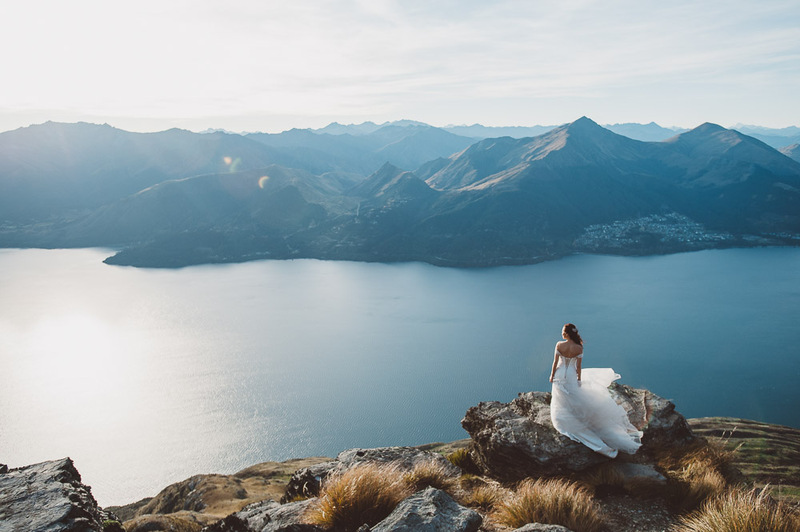 Whether you want to hold your ceremony on a majestic mountain or beside an aqua-blue lake, a talented Kiwi elopement photographer can be there to capture every moment – helicopter rides and epic hikes included. 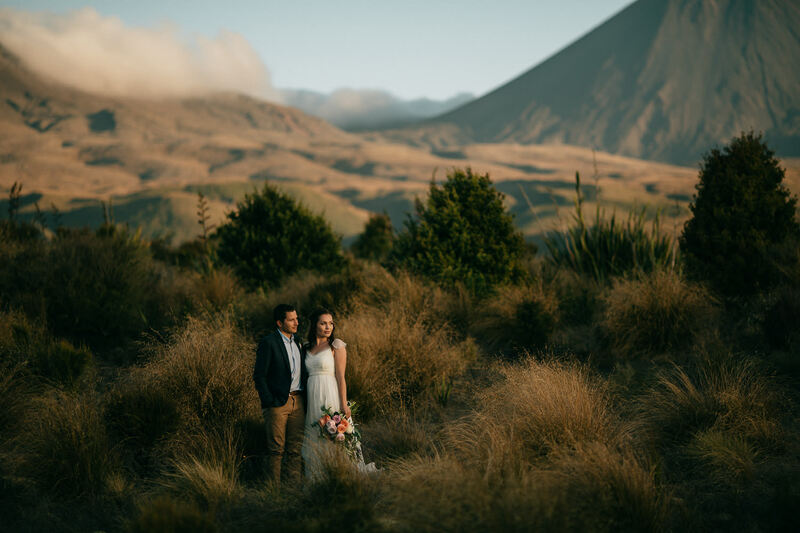 So without further adieu, check out the top 5 New Zealand Elopement Wedding Photographers, lovingly curated by the team at WedElf. 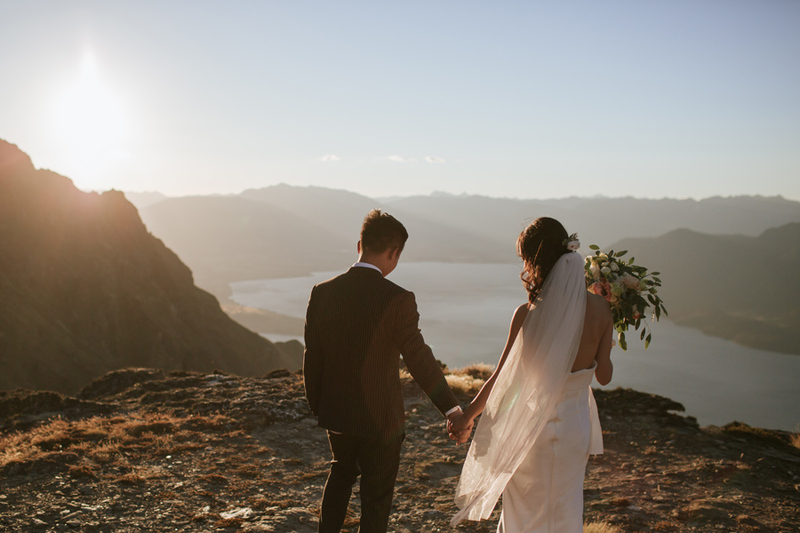 Kent Yu is a New Zealand based photographer specialising in destination weddings. As a New Zealand native and with offices in Christchurch and Wellington, Kent understands how to make the most of his country’s gorgeous landscapes. Kent’s approach focuses on storytelling and evoking emotions, aiming to capture beautiful moments for memories and works of art that will truly last. 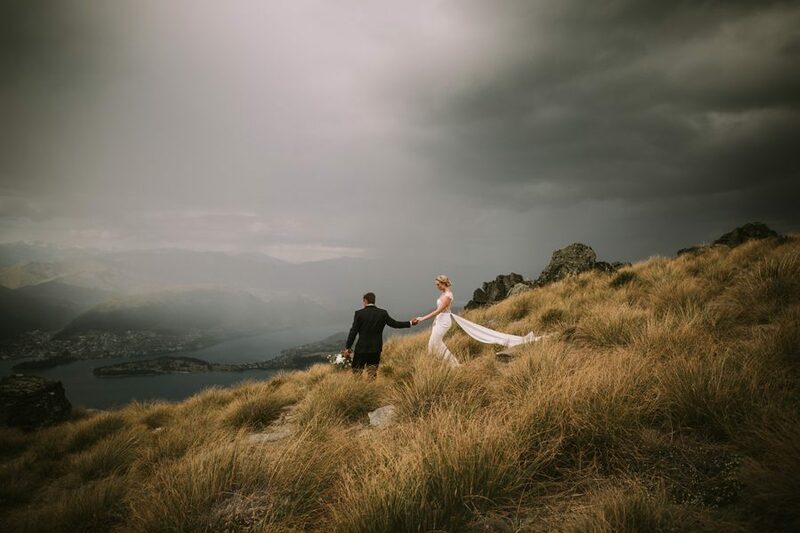 Andy Brown is a passionate photographer based in Wanaka, New Zealand. 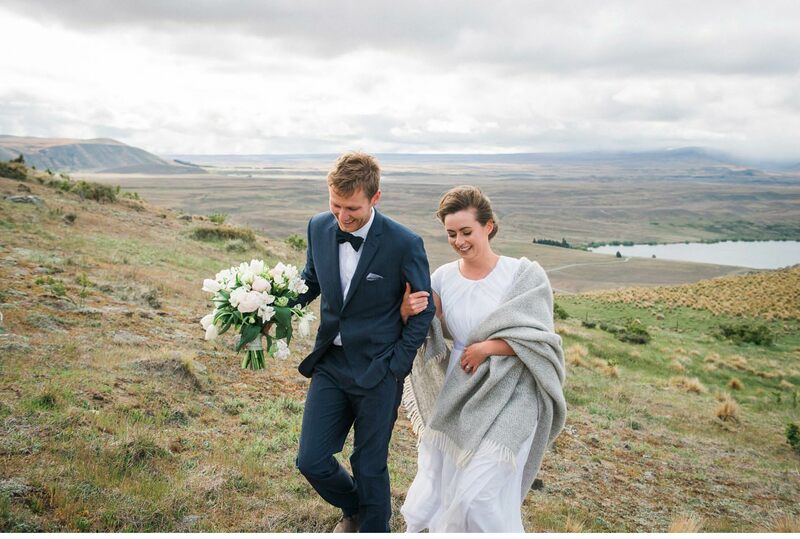 Since he is literally living on the doorstep of some of the most beautiful scenery in the world, Andy has been able to pursue his passion of becoming a destination wedding photographer without ever having to leave home. Andy takes a documentary approach to his elopement shoots. Rather than focusing on staged shots, he prefers to capture the experience of couples together in order to tell their unique love story. He feels that by doing this, he’s able to create unforgettable images full of soul and purpose. Don’t believe us? Check out the jaw-dropping images below – they are quite simply insane. Alpine Image Company is actually a team of driven photographers and studio managers who are motivated to create beautiful and everlasting memories for every couple they shoot. 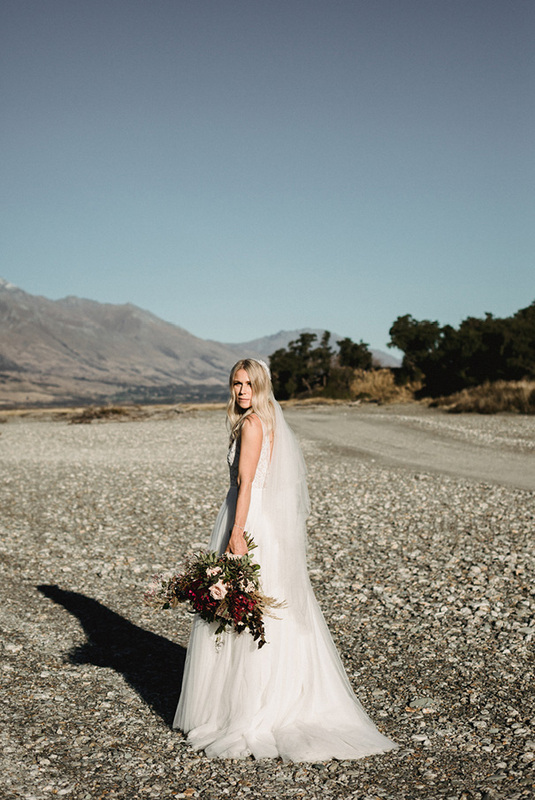 Based in Wanaka, the team focuses on capturing real life candid moments that simply can’t be set up. They’re an award winning wedding photography studio, having been the recipients of both national and international wedding photography awards. 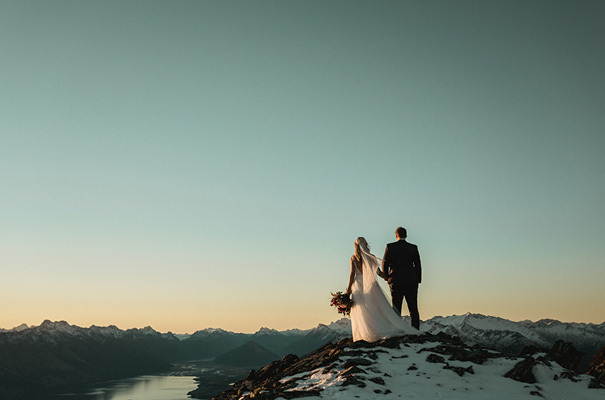 With these awards under their belts, they’re truly the kind of photographers that you know you can depend on to capture every special moment on your big day. See for yourselves. Dawn describes herself as a photographer for creative, romantic and intimate weddings in the wild. By taking a glimpse at her impressive portfolio, we can see she unreservedly speaks the truth. Her images, put simply, speak absolute volumes. She relishes in those moments when people really let their guard down; when couples can truly connect with each other. It’s in these moments that Dawn is able to capture the beauty in the ordinary – all those beautiful moments that all too often go unnoticed. Dawn is based in Glenorchy, at the bottom of New Zealand’s South Island. Chasewild is made up of two passionate creatives, James and Cam, who describe themselves as moment seekers and storytellers. 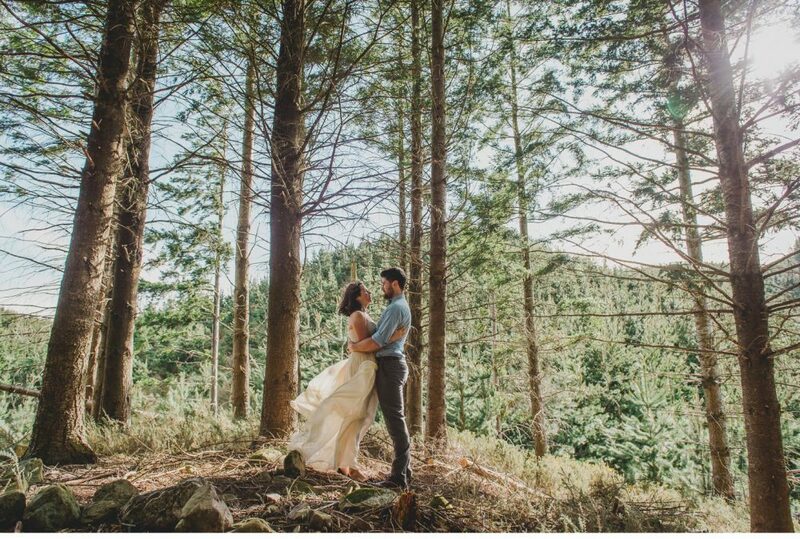 Their friendship and shared love for photography have resulted in Chasewild, which fulfills their passion for creating gorgeous imagery for couples in a natural, memorable and unique way. They live up to their name in every sense of the word. Chasewild is really about chasing adventure. Adventures up mountains, in forests and other unique landscapes with the one you love. The result is the creation of unforgettable images that capture your love story in an artistic and genuine way. Do the photos make you want to book a flight to New Zealand right away?